This review is for the State Mutual Health Insurance Company. State Mutual Insurance Company offers Medicare Supplement Insurance, and based out of Rome, Georgia. State Mutual Insurance Company is considered a mutual insurer that offers various insurance products in 41 states in addition to the District of Columbia. Are you looking for health insurance coverage? Enter your zip code below to get started and find health insurance providers near you! State Mutual Insurance Company is owned primarily by the policyholders. Founded in 1936, State Mutual Insurance Company prides itself on offering fairly priced insurance products to its customers and believes in giving back to the community. With a focus on the aging population of American, State Mutual Health Insurance Company has designed its products to meet the needs of older adults. As a registered and official member of several organizations that specialize in research, marketing, and career assistance, State Mutual Insurance Company has a rich history and the experience to assist with many of life’s insurance needs. The State Mutual Administrative Offices are located in Clearwater, Florida. The primary phone numbers for State Mutual include 1-888-764-1936 for individuals interested in a new Medicare Supplement product; 1-877-872-5500 if you are a current Medicare Supplement policyholder; and 1-800-241-7598 if you have a life insurance policy with State Mutual Insurance Company. As mentioned earlier, the main product that State Mutual Insurance Company offers is a Medicare Supplement insurance program. Find out more about Medicare at http://www.medicare.gov/. Private companies have the ability to sell a Medicare Supplement as health insurance coverage to help fill the gaps that are left from traditional Medicare coverage. The coverage is often referred to as Medigap coverage. Perhaps most importantly, despite being sold by private insurance companies such as State Mutual Insurance Company, all Medigap plans must still approved by the United States government. While each Medigap plan must offer customers the same basic coverage, cost is the only major difference. It is important to research all the companies that offer Medigap coverage and determine which is the one is best for your situation. State Mutual Insurance Company allows customers to research, purchase and manage their Medicare Supplement policy from the comfort of their own home. State Mutual Insurance Company was the first and still is the only insurance company to offer Medicare supplement applications online. In addition, the underwriting process is done completely online, and helps speed the decision making process. In fact, customers who apply online through State Mutual Insurance Company will usually receive a decision on their Medicare supplement application immediately. In addition, for customers or policyholders that wish to speak to someone in person, State Mutual Insurance Company also offers 24/7 call center coverage. The customer service agents can assist with a wide array of issues and concerns. While finding Medigap insurance is important, it is equally important to look at your medical costs and determine what will need to be paid for out of pocket. For example, for Medicare Part A, a patient will have to pay more than a $1,000 deductible to been admitted as an inpatient in a hospital. While the first 60 days in the hospital are covered by Medicare, Days 61-90 can cost you $283 per day and days 91-150 can cost $566 per day. In addition, a Skilled Nursing Facility can cost more than $141 per day out of pocket. In addition to offering a Medicare Supplement, State Mutual Insurance offers property and casualty insurance through a partnership with GMAC Insurance. 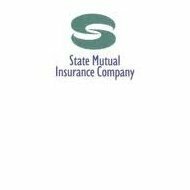 There is no information regarding careers or job opportunities within State Mutual Insurance Company. Some companies choose not to list open and available positions on the website, while others simply do not have any openings available. It is unclear as to what State Mutual Insurance Company has chosen to do, but at this time, there is no career page on the website. State Mutual Insurance does offer online policy management in addition to being able to apply online.